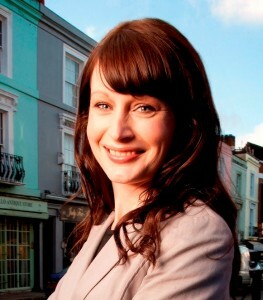 Natasha Courtenay-Smith is a journalist and founder of the prize winning press and publicity agency, Talk to the Press. You may well have seen or heard her on her numerous radio and TV appearances, talking about her business and some of the people they represent. This is her story for a change! Jane: Natasha, you run a very successful press agency, Talk To The Press, (we’ll talk about your awards later!) What prompted you to begin your own business? I’d always imagined I would run my own business (my parents had done) and it was largely boredom and feeling restricted that lead me to take the plunge and leave my former job, which was as a feature writer at the Daily Mail, in 2005. Another factor was that I knew I wanted to have children (one day) and so wanted to set myself up and establish myself as a self-employed person prior to that happening. I didn’t want to have to deal with things like having to work long hours because my boss said so once I’d had a baby, and I didn’t want to try and start a business at the same time as becoming a mum. At the time, I had a notion I’d like to run my own press agency, but I didn’t have any grand plan at that point of what it would be like and how it would work. I worked first as a freelance writer and was regularly commissioned by national newspapers and women’s magazines for two years and then started thinking more about formalising things into a proper press agency. At the Daily Mail, I’d regularly dealt with individuals who had, for any number of reasons, found themselves making headlines and then faced the awful situation of reporters on their doorstep, being asked to sell their story, and these were the people that I wanted to help and also that I felt confident I knew how to help. In January 2008, I launched the Talk to the Press website. Within weeks of the website going live, I discovered I was pregnant. I already had one employee so I took on another (mainly so the girl I already employed wouldn’t be lonely during my maternity leave – not sure if that is the best reason to recruit!) and then spend 9 months frantically building up the business so it was generating enough money to pay my two employees and generate a small profit whilst I had my baby. Looking back, it must have been stressful but it didn’t feel that way at the time. What were the biggest hurdles you faced in launching your own business? What did you find the most daunting aspect of going it alone? I probably speak for many self employed mums when I say the biggest hurdle was juggling the business and being a very new mum. In many ways, it’s wonderful in that being my own boss, I’ve been able to spend far more time with my little boy than I would have done had I remained working on a national newspaper, especially now. But in the early days, my time with him was probably compromised by the business’ needs. I definitely felt under more pressure that mums who have jobs and are able to go on maternity leave and not think about work. I was back at work one day a week when my little boy was six weeks old and took him into the office every Monday for a meeting with my employees. Although I was completely committed to my business, with all the emotion and confusion that being a new mum brings, I didn’t have enough self-belief to not worry about what other people thought and to not feel judged (in a bad way) by other new mums I met at the time, who invariably weren’t even thinking about work at all. The most exciting was just realising that the Talk to the Press website did work (in that people visited it and felt able to get in touch with their stories), and that increasingly people were choosing us to handle media for their stories or to sell their story. What has been the most exciting/rewarding story you’ve covered? We’ve worked on so many great stories, it’s difficult to say, but the ones that stand out are the times we really helped those who were making headlines. Most recently, we represented ‘supergran’ Ann Timson who became an overnight heroine after beating off a gang of jewel robbers with her handbag. It was wonderful to meet Ann and to step in and help her handle the media attention which had unnerved her somewhat. But she soon got into the swing of it and we even arranged for her to fly to New York (business class!) to appear on the Today show. We also represented the women conned by Simon Reid, who in a story that made headlines, got together to confront him and filmed his entire reaction. We secured them a multi media deal too which included newspapers, magazines, television, and they also went to New York to appear in the Today show – and enjoyed a two day break there while they were at it! What did you want to be when you ‘grew up’? Were there any early indications of that entrepreneurial spirit? Growing up I actually wanted to be in the police force! I did psychology at university and continued being keen on the police, until the moment came when I finished university and realised in fact I was too scared of things like the dark and criminals to go into the police force. I’d actually always loved writing, and it was then I decided I’d like to be a journalist. I think in actual fact my ‘entrepreneurial spirit’ only emerged once I was self-employed. It was only once I wasn’t in a paid job that I started to see how I could build a business, employ others and repeat the process to generate more work and money. And I found with no boss to hand you a payrise, better job title or increased responsibility, I began to think about ways I could create all that for myself. As a journalist did you encounter any discrimination or issues because you were female and feisty? No, I’ve never had any issues because of being a woman! Professionally, I think men enjoy bantering with women who are successful and feisty. I’m inspired by all mums who run their own businesses, and all self-made individuals. I constantly read business books, I’ve read all books by BBC 2s ‘Dragons’, those by Sahar Hashemi and any other entrepreneurs I can get my hands on. My particular favourite is ‘How to Get Rich’ by Felix Dennis (the title is ironic, the book is brilliant). He almost sees business as a game and I love his no nonsense attitude. I’ve also followed a book called ‘The Winner’s Bible’ which recommends visualisation as a way to see the bigger picture and what you could achieve if you set your mind to it. But one thing I actually lack is a mentor in my life. I would love to know more women who are as driven as I am, and who have children too, and have them in my social set. I would love to be friends with someone like Anya Hindmarch, who has four children and also runs a multi million pound business. Not because she’s a ‘celebrity’, but because I would love to know women who have achieved far far more than I could even imagine, and who would make me feel I could be doing so much more than I currently am, and who could offer advice on the things I might consider doing next. I find that some of my own friends in fact make me feel as though I should either be doing less, or that what I’m doing already is more than enough. Research shows that women consistently undersell themselves when applying for jobs (and men oversell) and that women business start ups rarely ask for enough money to get them going. Have you ever suffered from ‘hiding your light’, or felt diffident about your abilities, and what advice do you have for readers wanting to start their own business? My business hasn’t had any funding but generally speaking, I think I definitely suffer from this. If people ask me what I do, I have been known to mutter vaguely about being a journalist and leaving it at that. I know that actually I should be saying I run a fairly successful press agency, I’ve been on TV, I’ve won awards but instead I find myself changing the subject! But it’s a British thing to underplay achievements isn’t it – no one wants to be seen as too big for their boots! What is interesting is that as my business grows, I am getting far better about talking about it and its achievements. What is the best piece of advice you have ever been given or read? To set goals and to constantly remind yourself what your goals are. It’s easy to get bogged down in nitty gritty, but goal setting keeps you focused on the bigger picture. By the same vein, there is a great quote, I don’t know who by, but it is ‘To avoid seasickness, look to the horizon’. Entering awards is a brilliant way to get publicity for your business and recognition for what you do. You have won FOUR business awards. Can you tell us how that came about and what difference winning those awards has made to you and your business? Yes, I’ve won four business awards. I won the ‘Women in Business’ award at the Startups Awards, which recognise achievements of new business in the UK. TTTP was then named ‘Outstanding New Publicity Solution’ by the Global Business Excellence awards. TTTP has also been recognised as one of the UK’s smartest small businesses, having been chosen by a judging panel including Deborah Meaden as a winner of Smarta.com’s ‘Smarta 100’ award. And I was featured on Management Today magazine’s ’35 under 35’ annual list of female high flyers. I’ve also reached the finals of two more awards. Well, the simplest way to win awards is to enter them – so part of it is finding the time and making the effort to write out proper entries. I think a lot of people think about entering awards, and then never actually do, just as many people say ‘One day I’d like to run my own business’ but you know full well they will never do it. Winning awards has been a great thing for Talk to the Press. I think people are naturally suspicious of journalists and to have had the business independently assessed and deemed worthy by a number of high profile entrepreneurs, including Deborah Meaden, is like a stamp of approval. For me personally, it’s been a wonderful thing in terms of confidence as well. How do you manage to get a good work/home balance? I think being my own boss helps. Although I do work incredibly hard, it’s all done within a time structure that I set myself and that ultimately I control. For instance, I leave at 5pm every day to pick up my little boy from nursery and then it’s me and him time until he goes to bed (although I won’t lie and say I don’t check and reply to emails on my iphone as I do!). Although of course it stresses me out when he’s sick and I find myself running my business from the sofa, I know I’m not going to get sacked. For any mum though, getting the perfect balance is difficult and I’m not sure anyone would think they’ve done that, whether they work or not. It’s a bit like finding the Holy Grail and I’m not sure the perfect balance exists. You founded the Notting Hill Shopping Bag scheme; what made you do that? The Notting Hill Shopping Bag is a cotton reusable bag for tourists and locals alike sold from a number of different stalls and shops across the area, the artwork on it is designed by local school children, and 10 per cent of the profits are given to local good causes. I just set it up to see what would happen – and have sold around 11,000 bags to date. It came about simply because I live and work in Notting Hill and love the area. The Talk to the Press offices are based on Portobello Road, and over the past few years, I have come to know many stallholders and have always enjoyed watching the ebb and flow of their businesses throughout the day and the seasons. Somewhere along the way, I noticed that there is a shortage of really nice locally-themed souvenirs for Notting Hill that aren’t naff, and I suspected that given the popularity of the area, there would be demand for something authentic. It’s been a very different sort of business for me, and a great learning curve. It’s the first time I’ve had to worry about issues like stock levels and commodity prices (the price of cotton has risen 50 per cent since I launched), plus it’s the first time I’ve been selling a product in return for hard cash and also importing goods from overseas. It’s incredible when a delivery arrives on a huge articulated lorry, I feel quite emotional that the bags have completed their long sea journey safely and that the only reason this huge oversized vehicle has turned up in Portobello Road is because of me! The business makes far less money than TTTP, but in a sense, it is just as rewarding. When I collect in £200 in cash from a bag stockist who has sold out of bags, it feels like just as much as an achievement as selling a story for £5000. In a business like Talk to the Press, you never see cash, it’s electronic figures going up and down on a bank account. It’s a great thing to see sales being made in cash, to get that cash, to take that cash to the bank and then use it to buy more products and then to wait for the products to physically arrive on a lorry and have to be sold to get that cash back again. It’s back to the basics of business. Which woman currently in the public eye do you most admire? I admire any truly determined and driven self-made women, such as Hilary Devey, Deborah Meaden, Anya Hindmarch, Alice Temperley, Debbie Moore, Mary Portas, Claire Powell, Victoria Beckham, Kelly Hoppen, the list is endless. I devour any quotes I can from people like that in the hope of learning something new. Do you have a favourite tip or saying or motto you’d be happy to share? ‘All you require is you, and your ability to think things into being’ – Dr Martin Luthur King (this was particularly the case with the Notting Hill Shopping Bag which came from a thought in my mind. Natasha, thank you so much for sharing your story. There is so much here to inspire readers. Thank you very much and continued success to you and the business!